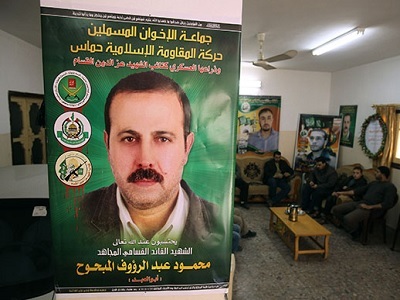 Assassinated Hamas member Mahmoud Al-Mabhouh. Israeli Channel Two TV broadcast a short film on Thursday which revealed details about the assassination of Hamas member Mahmoud Al-Mabhouh in a UAE hotel in 2010. It has always been assumed that he was killed by a Mossad hit-squad but this is the first time that there has been any kind of official Israeli acknowledgement of responsibility for the killing. In the short film, an Israeli explained how the Mossad operatives were connected to each other through a telecommunications officer based in Vienna. 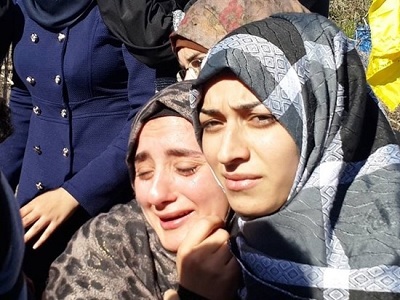 The names of the Israeli operatives who carried out the assassination were revealed and footage of their movements inside the hotel was shown. It was made clear that a senior Mossad official took part in the operation and left the UAE just minutes before the assassination took place. According to one Palestinian political analyst, revealing this information now is Israel’s way of sending a powerful message to Palestinian leaders overseas. The head of the media department in Al-Ommah University in Gaza, Adnan Abu-Amer, used his Facebook page to suggest that Israel is saying, “We are able to reach you regardless of how long you are away from your home.” He believes that this is a threat sent in response to their role in mobilising support for the ongoing intifada.